All titles are GMT/UTC (also shown as Z) unless stated otherwise. Do not use any information on this site for life or death decisions. All information is intended as supplementary to official sources. Kindly refer to your country's official weather agency/government website for local warnings, advisories and bulletins. Copyright Law. In accordance with Title 17 U.S.C. Section 107, the material on this site is distributed without profit to those who have expressed a prior interest in receiving the included information for research and educational purposes. No copyright infringement is ever intended. non-commercial, makes no profit and exists only to provide a service. As a nation we’re increasingly enjoying more water sports according to the annual watersports participation survey released this week. Procedures for conformity assessment of marine equipment for UK ships in the event that the UK Withdraws from the EU without a deal on exit day 31 October 2019. On 8 April a father and his 7 year old son were dramatically rescued from a dangerous incoming tide at Cowden cliffs, near Hornsea. Information about volunteering for the Maritime and Coastguard Agency (MCA). How to find MCA approved training providers for STCW short course and ancillary training. “FEMA and the Department of Defense stepped up in Siberia, where Raging wildfires. Now in the Federal District with fire fighting more than 7 thousand people and 2 thousand units. In a region already transferred aviation: aircraft IL-76 and “amphibian be-200. At any time to help firefighters ready to come over 25 000 soldiers from the reserve of the Ministry of defence. The military also provided nearly three dozen Army helicopters for aerial reconnaissance. Fight fire with rescue workers hampered by weather, reports tv channel “Russia 24”. Strong wind provokes new ignition. The fire covered thousands of hectares of forest, including — near human settlements. “The Emergencies Minister Vladimir Puchkov has conducted a meeting of the Governmental Emergency Response Committee dedicated to fire safety in the Siberian Federal District. It was mentioned that by decision of the Governmental Commission, the Emergency Situation mode of operation was enabled in all constituent territories of Siberia and special fire fighting regime was enabled in many municipalities. “from 25 to 28 April, more than 2000 fires were put out by joint efforts of the Federal and regional fire departments, patrol groups of the municipalities and other services. 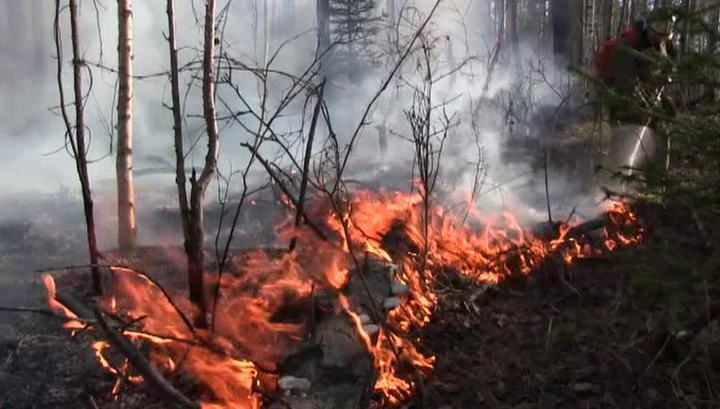 More than 150 settlements in 22 municipalities were saved from fires”, pointed out Vladimir Puchkov. Fire fighters and especially “The Institute of Village Elders” actively instruct population on fire safety. More than 95% of fires that occurred in KrasnoyarskTerritory were taken under control within the first day. More than 700 administrative infractions for dry grass burning and campfire building were given by the Emergencies Ministry’s specialists in KrasnoyarskTerritory since beginning of 2017. Forestry workers already fined more than 3.7 million rubles. The First Deputy Governor of the Krasnoyarsk Territory, the Chairman of the Krasnoyarsk Territory Government, Viktor Tomenko reported that since 25 April the region experiences heat wave with strong wind gusting. The situation is the same, as in Khakassia in 2015, where people died due in major fires. Since 20 April special fire fighting regime was enabled in KrasnoyarskTerritory. “Despite all taken preventive measures we detected several major violation of the regime by citizens. Due to casual handling of fire, nine houses were destroyed in 5 settlements of three municipalities”, said Viktor Tomenko. 15 people lost their houses. Nobody was killed or injured. According to Tomenko, all payments will be carried out from the regional budget and assistance from the federal budget is not required. While mentioning forest fires, the Vice-Governor pointed out that these fires have no threat to settlements. Despite this, a ground force consisting of more than 27,000 people and 1,500 units of equipment was created to protect the settlements in KrasnoyarskTerritory. According to daily monitoring, the air is nor contaminated and there is no threat to health of KrasnoyarskTerritory residents. “We completed the most important objective – we prevented human casualties. According to order of the Russian President Vladimir Putin we carry out comprehensive preventive efforts, provide aid and support to every affected person. All affected families must immediately receive compensations. I ask all social workers to take such cases under special control and help people to draft necessary documents”, pointed out Vladimir Puchkov. The Emergencies Minister also pointed out that many people will leave towns for May Holidays. For that reason, it is necessary to organize additional efforts and protect all recreational sites. Vladimir Puchkov underlined that as a lot of people will go to their summer residences from towns, the motorways may get overloaded and he ordered Traffic Police to check once again preparedness of roads. “We must not forget that spring flood is still ongoing and that requires additional work and preventive efforts. On one hand, wildfire risks are gradually decreasing, while on the other a lot of people leaving towns for holidays, skyrocketing these risks”, said the Minister. Vladimir Puchkov also asked KrasnoyarskTerritory to assist Buryatia and Irkutsk Region in combating wildfires. 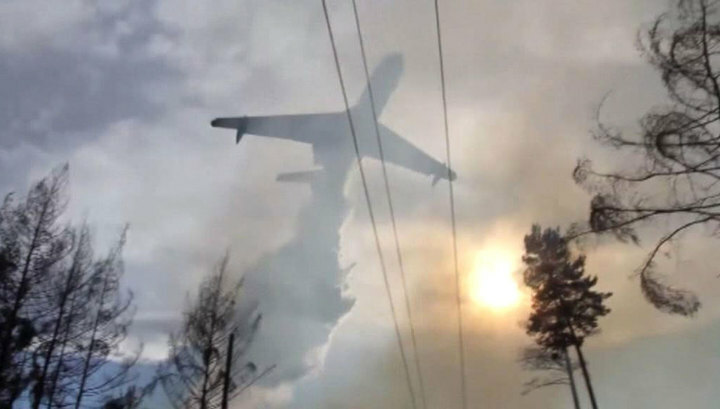 This entry was posted in Fire & Rescue News, NEWS and tagged Buryatia, Fire, Fire News, Firefighters, Firefighting, Forest Fire, Forestry, Helicopters, Irkutsk, Irkutsk oblast, Krasnoyarsk Territory, Russia, Siberia, Wildfire, wildfires. Bookmark the permalink. Article | An Act to give effect to the 2017 Treaty on the Prohibition of Nuclear Weapons. Article | The ICRC has provided water tanks and sanitation facilities to internally displaced people in North Ethiopia. Article | In 2018, the ICRC continued its activities in Azerbaijan delivering humanitarian assistance to affected population in relation to the Nagorno-Karabakh conflict. News release | The objective of clarifying the fate and whereabouts of people who have been missing in connection with the 1992–93 conflict in Abkhazia and its aftermath.